Your Van Needs a Proper Cleanout! A van is a bit like a bedroom - it can get in a mess quite easily! 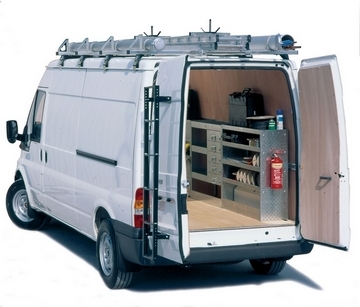 Some tradesmen use their van as a de facto storage unit - carting around all of their tools with them wherever they go - even if they rarely use half of them. Therefore, it's a good habit to plan ahead and think of the tools you will REALLY need for the jobs ahead. Sometimes you have no choice but to bring tools you're not sure you'll need or not, but you will find you've been carting around old tools and materials for weeks without even realising they're there (due to the mess). So this article is a just a reminder - give your van a proper cleanout! Get yourself some racking if you haven't done so already. Organize! You'll find that your van is more economical with fuel with the lighter load, and you'll just feel better when you open up your van to a vision of disciplined categorisation!